Black Mountain Bowmen is a non-profit organization located in San Jose, CA. The club was organized in 1952 and is dedicated to encourage and promote the sport of archery. 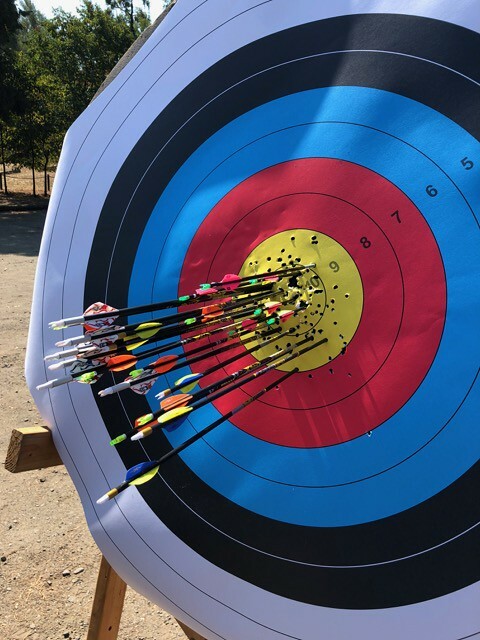 BMB is one of five ranges located in the Mission Trails Bowhunters Association (MTBA) region. We are a 100% volunteer operated club that maintains a range consisting of practice targets and an official 28 target NFAA field course. Range Hours The range is open daily, 8:00 AM to sunset. Range is closed for monthly maintenance work-parties or tournaments. Check our club calendar for events. Equipment/Rentals The BMB Club does not offer equipment rentals. You *MUST* bring your own equipment. Please follow all safety rules posted at the range! ***Partial Range Closure in June*** The range will be closed on June 11, 12, and 14 from 8:00am to 2:00pm. Local fire departments are using the range for training simulations.